It is déjà vu… All over again. 2013 is starting to look and feel a bit like 2007. Try to remember back to a time when buyers were abundant, inventory was scarce, interest rates were very good and lending requirements were forgiving. 2007 was a perfect example of a market that was totally skewed to one side, creating a true seller’s market, thereby limiting buyer choices and actions. There were very few new homes available and resale properties were flying off the shelves, often times with multiple offers just days or mere minutes after hitting the market. This naturally (or un-naturally) drove sales prices up, up, up so that our average annual appreciation rate of 4 percent shot upwards to 10 and 12 %. Good news for sellers; bad news for buyers, right? In 2007, it was. 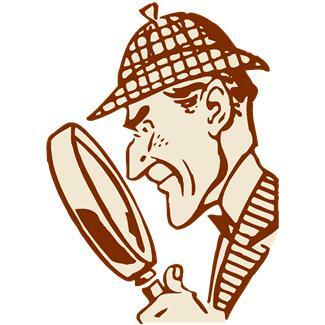 But not so today, as we experience valuation problems with the remnants of the HVCC legislation leading to low appraisals (read more about HVCC). So what is a seller to do? Price competitively but realize that even though you may receive many offers that push the sales price above your initial asking or list price, today’s appraisal process might not allow for the overage. Your Realtor should prepare an appraisal packet including information about any and all updates, valid comparable properties in the immediate area and details of the multiple offer situation. This is still no guarantee that the appraiser will review or consider the data, but it goes a long way to helping your property make value. 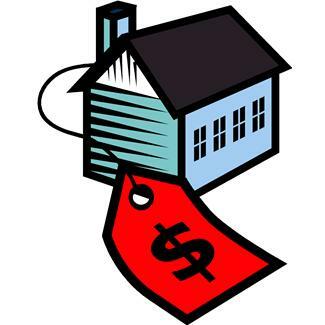 Sometimes the other terms offered by buyers are more important than taking the highest price. Financing terms are crucial and often the type of financing being used by a buyer can be indicative of future potential appraisal problems. If presented with a cash offer, make sure to negotiate what will happen if buyer seeks an independent appraisal (not required with cash) and the property does not make value. Yes, a seller’s market is exciting and good for neighboring homeowners’ property values. The only downside, other than potential low appraisals, is an inventory level so low that future buyers stay put because they have nowhere to move and nothing to purchase. This means everyone is waiting for the next guy or gal to list. That would be such a pity when interest rates on a 30 year fixed are below 3.5 as of today. So go on, jump in the market… The water is warm and inviting. 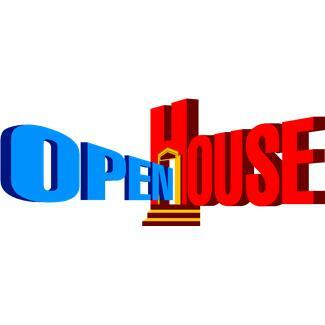 Who doesn’t love to visit an Open House? Come on, you know you do. Go ahead … admit it. You love to see the decorations, to peek inside your neighbor’s home (who never invited you over the entire time they lived there), to learn more about what homes are going for in your area, or to check it out before giving your Realtor a call. Either way, there are a few bits of advice I can give while visiting a Public Open House. 1. Follow House Rules: Seller may wish for you to remove shoes prior to entering. This may be due to nasty weather, new flooring or a cultural preference. Just ask the Realtor or Host on duty if removing shoes is expected. 2. Monitor Your Kids: Homeowners really expect parents to stay with their children at all times and to make sure nothing is touched or damaged. I have seen many visitors arrive and while the parents are involved with viewing the home, their kids are all over the place – totally unsupervised. The Realtor or Host cannot be expected to babysit or to monitor visiting kids. Please, please keep them with you as the home could experience damage that you quite possibly could be held liable for. 3. Go Before You Arrive: I am often amazed at visitors asking to use the Seller’s bathroom. The Seller’s home is a private residence and as such, unless vacant and only with permission from the Realtor or Host on duty, should you assume that it is okay to use the facilities. Seller’s have prepared the home for viewing… not using. 4. Have a Realtor? Tell Us: You will be asked by the Realtor or Host on duty for your contact information. Sometimes our clients request this information, as they want to know who has visited their home. And many times, the Realtor on Duty would like to contact you to send you more information and to try to develop a future relationship with you. This is not a bad thing and can be very helpful for visitors that are not currently under a written representation agreement with another Realtor. But if you already have such a relationship with a Realtor, simply let us know who it is. We are happy to send them more information about the property you have visited. We all want to honor your relationship with your Realtor but cannot do so if we do not know about it. This is actually a Code of Ethics issue with the National Association of Realtors, which all Realtors must follow. 5. Tell Us What You Think: Don’t be shy… Are we priced right? Do we show well? Are you considering this home? If not, is there anything that our Sellers can do to make your short list? By providing such valuable feedback, you are helping us help our Seller know exactly what the public thinks about the home. And feel free to ask us questions. If we do not know the answer, we will do our best to find it. If answering your questions will help sell the property, we are more than happy to help. As a Realtor, we love having you visit our Open Houses. In fact, that is why we give up our valuable family time on weekends… just for you. Help us make it pleasant for you and for our Sellers. Happy house hunting and support your local hardworking Realtor by visiting an Open House today!!! Katy, Texas: How Do I Love Thee? Let Me Count the Ways! 1. 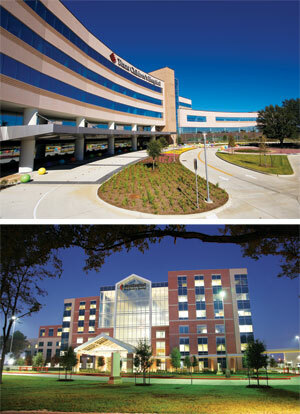 Location, Location, Location: Close proximity to the Energy Corridor, a major area for our top employers. 2. Terrific Schools: Just search www.katyisd.org to see what our school district and individual campuses have to offer to our residents and their children. (As the mother of a National Merit Finalist and a Semi-Finalist, I can personally attest to the effectiveness of the administrators and their staff.) Thank you Katy ISD! 3. Cost of Living: We still have lots of available land for building and labor is fairly inexpensive so housing is affordable. However, our property taxes tend to be a high but keep in mind Texas does not have a State Income Tax so our property taxes are used to fund our great schools. 4. (Relatively) Easy Commute: Traffic, like beauty, is in the eye of the beholder and it depends on what you consider an easy commute. Face it, Houston loves its vehicles so the traffic will always be with us. However, with the completion of the I-10 expansion and the Westpark Tollway completion, there are several avenues for timely travel into Houston and beyond. I know some people do not want a commute and are willing to pay higher homes prices to live closer in and perhaps sacrifice a bit on the schools but our many residents feel that the trade-off is worth it. 5. Great Communities: There are so many different neighborhoods available to a home buyer in our area. I tend to call them “communities” because some of them are larger than many small towns. 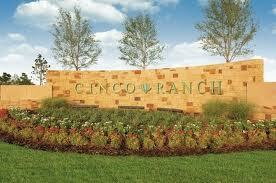 In fact, Cinco Ranch is currently the number one new home selling community in entire country and has recently acquired 500 additional acres to continue its growth. Katy offers many other terrific choices such as: Grand Lakes, Firethorne, Cross Creek Ranch, Seven Meadows, Kelliwood, Grayson Lakes and more. 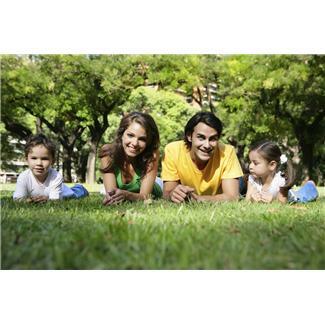 Our developers have thoughtfully designed and completed their communities with the homeowner in mind. With careful presentation of commercial/retail, beautifully landscaped common areas, abundant resort-style amenities (golf, pools, tennis, hike/bike trails, lakes, etc. ), our residents can feel secure that they have made a wise choice with regard to their families’ enjoyment and potential resale value. 6. 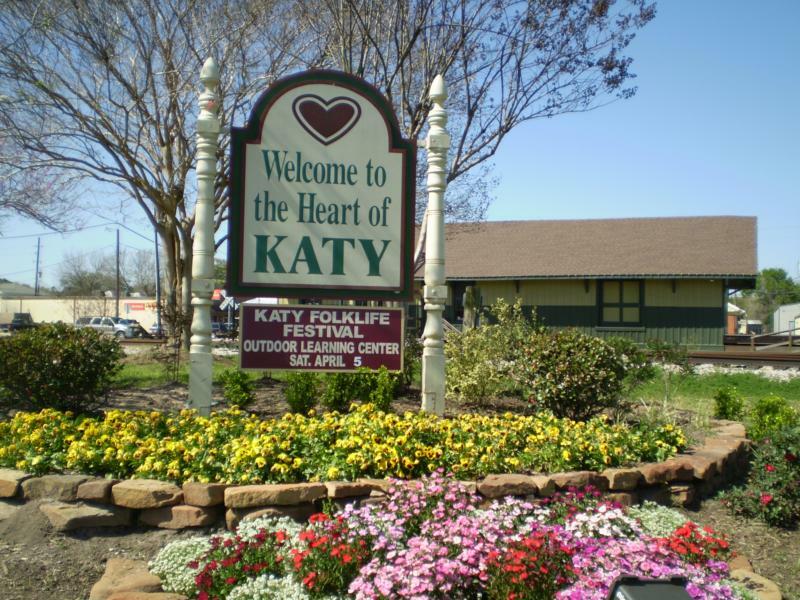 Quality of Life: Katy offers a true, small town experience with big city features. We have great dining, shopping, and entertainment opportunities for everyone of all ages. We are thrilled to be the lucky recipient of abundant medical care, including but not limited to the new Medical Center’s West Campus: Texas Children’s Hospital, Methodist Hospital, Hermann Memorial Hospital, Christus St. Catherine Hospital and the MD Anderson Radiology Center. 7. Diverse and Interesting: Our area is truly representative of the world’s population. As the destination of choice for most expatriates moving here with their energy sector jobs, you will love our multi-cultural make-up. Our kids grow up with friends from all over the world and so many international buyers (drawn here because of our schools), develop strong ties to our community. I know on my street alone we have residents representing: US, Canada, Africa, India, Russia… and this is one street. 8. Family: Katy is family centric and is a place where you can finally stop, unwind and relax with the ones you love. This is a place where people gather to enjoy everything that a true “community” can offer. 9. Spirituality: At one time, this area was known as the “City of Churches” and offers a place of worship for everyone, regardless of your faith. 10. Friendly Residents: I have lived all over US and abroad and can attest that I am living in one of the friendliest places on Earth. This could be one of the reasons so many people keep moving back to Katy, TX. When a family moves away, chances are … they will be back. Why not drop by and check us out. You just might love it and never want to leave. For more information, please visit my website www.ChristiBorden.com . Home design is fluid and ever changing. Many features we clamor for today may be passé tomorrow. Remember white kitchen cabinets? At one time, this was THE top wished for item and now… It is dated and unwanted. Corian countertops… All the rage in the 1990’s but now, nowhere near the top of choices. What changes can we expect in the near future? Single-family homes will get smaller (74 percent of respondents said). Homes will have more “green” features (68 percent). Homes will have more technology features (29 percent). Homes will have more universal access features (20 percent). Homes will have more outdoor living features, such as kitchens and fireplaces (10 percent). The average home size will be roughly 2,150 sf. Living rooms will merge with other spaces in the home (52 percent), vanish to save on square footage (30 percent), or become a parlor/retreat/library or music room (13 percent). If the living room doesn’t vanish, it will likely decrease in size (76 percent). Also downsizing are the entry foyer (66 percent) and dining room (63 percent). Features “very likely” to be included in a new home in 2015 include a kitchen-living room combo (“great room”), walk-in closet in master bedroom, laundry room and two-car garage. “Unlikely” features include three or more bathrooms, mudroom, unheated porch, dining room, skylights, three-car garage, four or more bedrooms, media room and two master bedroom suites. Homebuyers are “somewhat likely” to want universal design features such as stepless entries, three-foot-wide doorways and four-foot-wide hallways, stepless showers that have seating, non-slip floor surfaces and grab bars in bathrooms. People seem likely to lavish more attention on the kitchen, ensuring that room will retain its status as the home’s social center. Survey respondents said they are “very likely” to want double sinks, recessed lighting, table space for eating and breakfast bars. They’re “somewhat likely” to want a central island, walk-in pantry, recycling center and desk/computer area. Texas, like many states, is currently facing an economic shortfall and our Legislators are scrambling to make up the difference. There are many proposed bills being brought for consideration to try to shore up the State’s coffers. While I realize the money has to come from somewhere, an informed consumer is wise consumer. Political party affiliations aside, as a Realtor, I am a fierce proponent of private property rights. I will be running a series of discussions about the proposed bills to share available information so that you aware of items that could negatively impact your property rights and your pocket-book. Taxes on real estate transactions:﻿ ﻿﻿﻿﻿Combined State and Local sales tax rate would be applied when a property is sold or changes ownership and on long-term leases. This is similar to buying a car now but could come into play whether a home is bought, sold, or transfers ownership due to divorce, probate, etc. The position of the Texas Association of Realtors (TAR) is that this will actually drive down the number of transactions and potentially increase the future tax rates needed to cover earmarked expenditures, burdening both buyers and sellers and hurting the real estate market and the Texas Economy. As a Buyer: This would certainly eat into the cash reserves for your down payment, repairs, furnishings, etc. And if your margins for borrowing are narrow, this could actually diminish the amount you can finance or size of home you can purchase. As a Seller: This will eat into the equity or net proceeds you walk away with from the sale and could end up raising the costs of housing in your area. As a Tenant/Landlord: One concern is what will be designated as a “long-term lease” and how much will this impact lease costs because someone has to bear the expense: landlord, tenant or both. As an investor, this could certainly impact your ROI. What are your thoughts on this proposed sales tax item? Christi Borden, a Relocation and International Property Specialist with Prudential Gary Greene in Katy, TX has been awarded the Certified Negotiation Expert (CNE®) designation by the Real Estate Negotiation Institute. The CNE® is earned by real estate professionals by successfully completing formal training in the art of negotiation and persuasion. Agents who receive this certification are in the top 1% of all agents nationally. With professional negotiation skills, agents are able to help clients obtain better results in the sale or purchase of their home. CNE® agents have a powerful competitive edge because of their ability to 1) uncover more information, 2) work collaboratively with others, 3) exchange value during sales/purchase negotiations, and 4) retain control over desired outcomes. Bottom line, CNE® agents know how to influence and persuade others more effectively than agents without professional negotiation training. For more information call me at 281-492-5984 or visit http://www.theRENI.com. You are currently browsing the archives for the Home Buyer Update category.